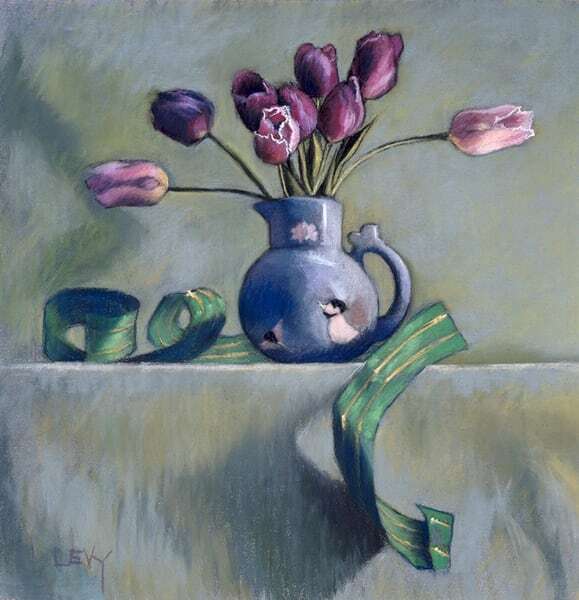 Leslie Lillien Levy is an award-winning painter who specializes in still life and accepts portrait commissions; however, she also includes landscape painting in her repertoire. Working in either pastels or oils, her style is representational. According to Ms. Levy, "While I am cognizant of the requisite elements that make a good picture, I approach my work intuitively. The pure act of painting nourishes me." 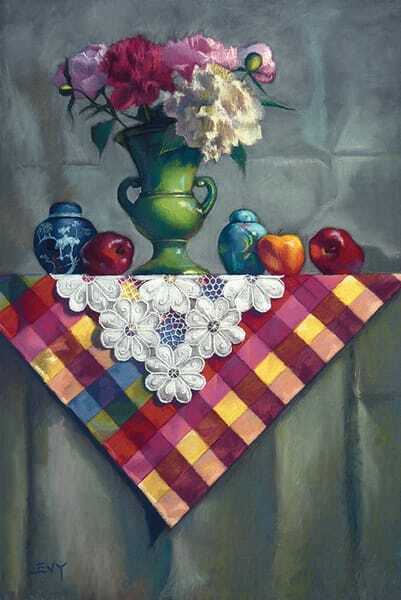 Her work has been accepted, exhibited and won awards in numerous national and regional juried shows including: Academic Artists Association (Best in Show 1999), Allied Artists of America, American Artists Processional League, Audubon Artists, Catharine Lorillard Wolfe Art Club, Connecticut Pastel Society, Connecticut Women Artists, Mattatuck Museum, New Britain Museum of American Art, Oil Painters of America, Pastel Society of America, Rye Arts Center and Salmagundi Non-Members Open. 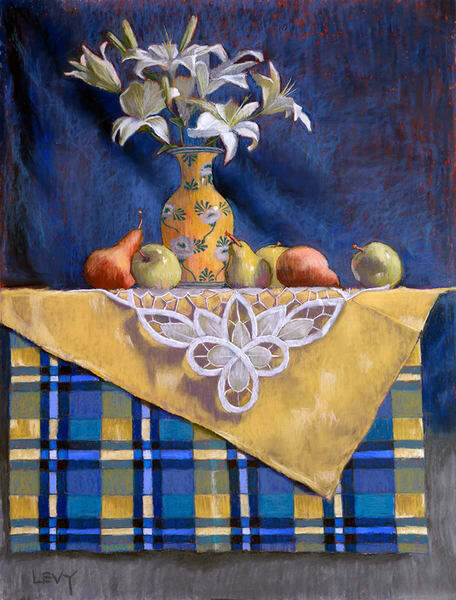 One of her pastel still life paintings was featured in the 2004 Pastel Journal "Pastel 100" taking fourth place in the still life and floral category. 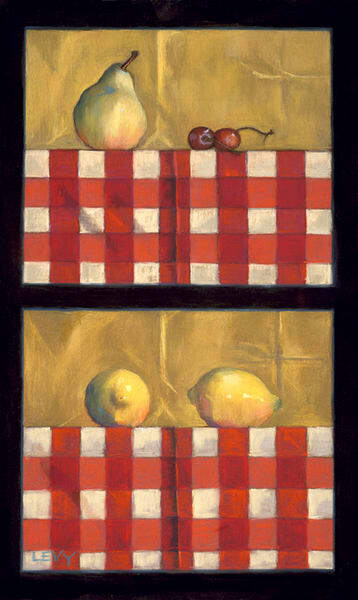 Two of her pastel still life paintings were distinguished in the 2003 Pastel Journal "Pastel 100." One took third place, while the other received an Honorable Mention, both in the still life and floral category. A portrait she painted was selected as a finalist in The Artist Magazine's 1999 Annual Art Competition. Her paintings can be found in many private collections, as well. She has participated in numerous group and solo shows including: a solo show at the Kent Memorial Library, 2003; a two-man show in 2003 and a three-woman show at PS Gallery, Litchfield, CT, 2000; a one-woman show at the James Beard Foundation, New York, NY, 2000; a group show called "Women Artists of Litchfield County" at Glass Mountain Gallery, Bantam, CT, 1999; a one-woman show at the Silas Bronson Library Gallery, Waterbury, CT, 1999. Levy is active in several art organizations, currently serving on the Board of the Connecticut Pastel Society. 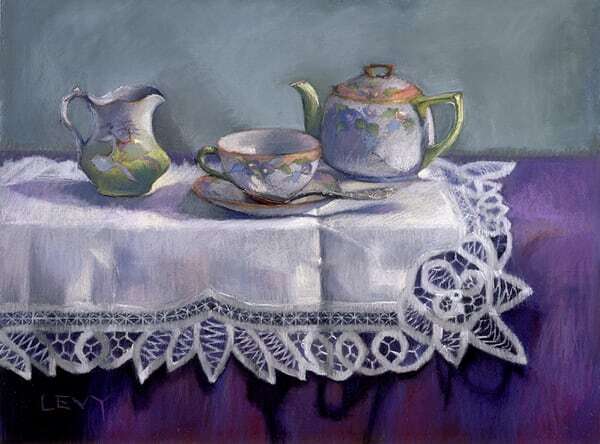 She holds Signature Memberships in the Pastel Society of America and the Connecticut Pastel Society. She is also a full artist member of Allied Artists of America. She is a past board member of the Kent Art Association. A member of the Alumni Advisory Council to her alma mater Maryland Institute College of Art in Baltimore where she received her BFA, Levy was a member of the Board of Control of the world-renowned Art Students League of New York. There she studied with Harvey Dinnerstein.